It’s the weekend, and we are super excited to kick back and relax. To get you started, how about an all-new BN Collection to Closet? 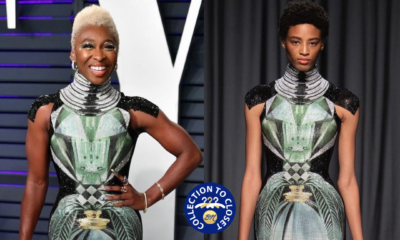 This is our style feature where we show some love to African designers, by shining a light on those who #BuyAfrican. 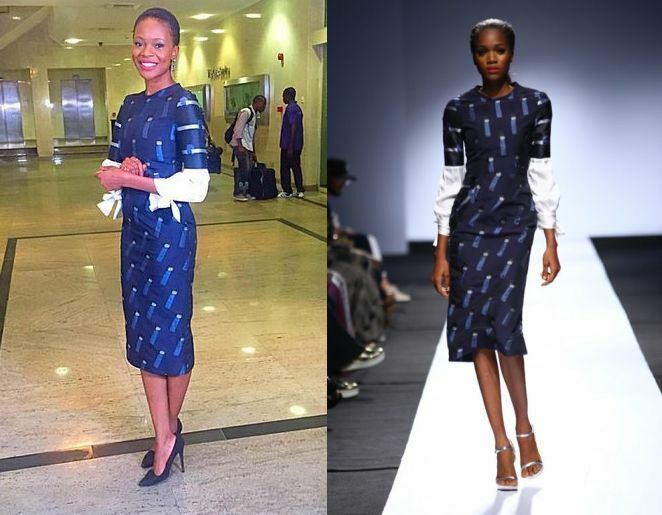 Today, we are looking at the TV personality, actress & model with a teeny-weeny ‘fro we love to love – Zainab Balogun in GREY. GREY is one fashion the young fashion crowd loves. With a vibrant take on simple and sleek silhouettes, they have garnered a select market that they now command. GREY describes its pieces as those created for the woman who is always on the cutting edge, is always drawn to classic silhouettes and fabrics but is ultimately seeking freedoms and lightness in her everyday wardrobe. 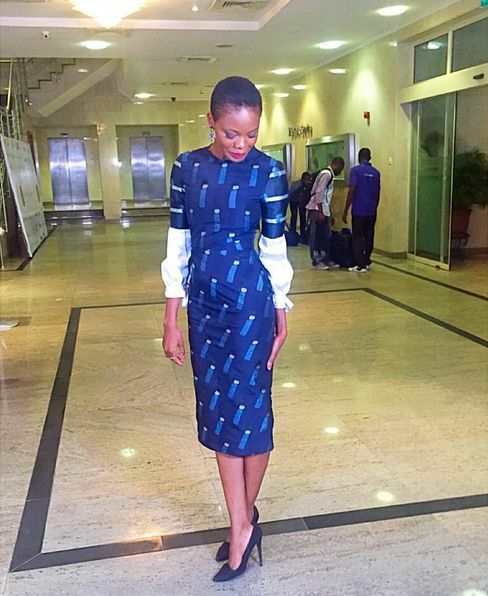 To attend Yemi Alade‘s jewelry collection collaboration launch with Bland 2 Glam, TV personality Zainab Balogun rocked a tailored pieces from the fashion brand’s Spring/Summer 2016 collection showcased at the Heineken Lagos Fashion & Design Week 2015. 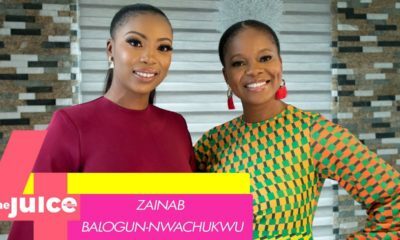 The outfit, a structured dark blue print dress, which features puffy white sleeves, looked very chic on Zainab as she paired it with black pumps.